We enjoyed the cottage and found it to be well equipped, comfortable and wonderfully located in Scilly area of Kinsale. Fresh flowers on the table, firewood ready to be used, and a personal greeting from the owner after we arrived--just some of the small details that made our stay lovely and showed that Mark and his wife really care about their guests' experience. My friend and I picked this cottage originally for the bathtub and access to laundry machines, but ended up enjoying so much more about it including the abundance of natural lighting, the beautiful structure and exposed ceiling beams, the proximity to the town and The Spaniard, and the overall feeling of welcomeness. The moment we walked in, my friend commented to me how perfect it would be for a honeymoon. And after our time getting little rest in London hostels, boy was it a treat to sleep-in in the cottage's cosy bed! The town itself was gorgeous and we loved meeting people during our stay. Dino's was our favorite restaurant and Charles' Fort was a great exploration to walk to. Along our walk, we stopped at an overlook where my friend turned to me and said, "Do you ever see something and just want to cry because it's so beautiful?" 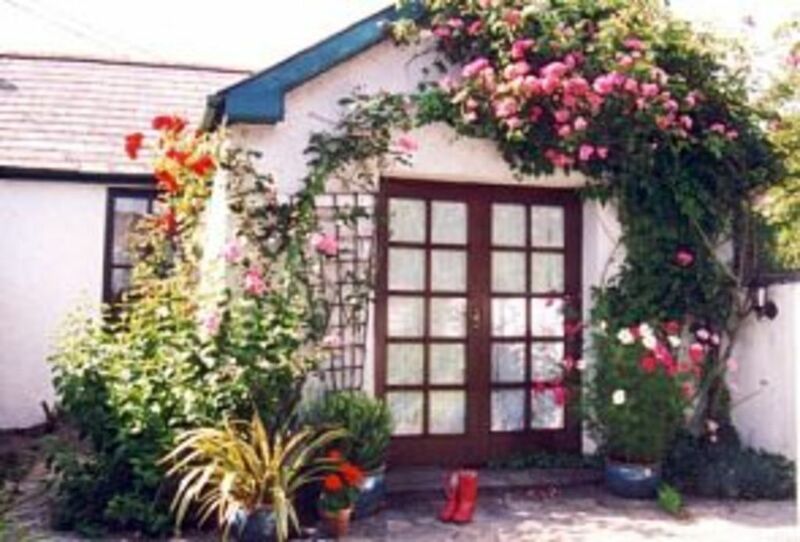 I highly recommend Marian Cottage to anyone wishing to explore southern Ireland. Thank you for a great stay! Just want we wanted! The cottage was great, clean and everything we needed. Easy walk to Kinsale...even in the rain. Good food nearby. The owners were very low key and there was lots of info about things to do nearby in the cottage. I highly recommend! Thank you; it's great to know when guests have had a good time staying at our cottages. We're always happy to help if needed. You are both very welcome to return anytime! This cottage surpassed our expectations. I would love to return and book a longer stay. Linen and towels are included and are changed once per week. Weekly clean included if staying longer than 1 week. Weekly rate only in July and August. 3-night minimum rest of year. Cot and high chair available at no extra cost.